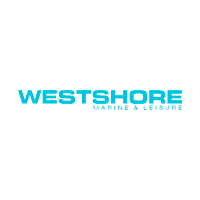 Westshore Marine has a large selection of All-Terrain Vehicles and Utility Side by Side vehicles available to rent. We keep our rental fleet with top of the line Polaris and Yamaha ATVs and Utility Vehicle always within a few years old to make sure they are always reliable and the only thing you need worry about is getting the job done or making memories with your friends and family. Write/Charge the rental off to the job. Whether your looking at Renting a Argo Amphibious Vehicle, All-Terrain-Vehicle (ATV) , or Side by Side our rentals do get booked up early depending the season. our rentals do get booked up early. If you are looking at specific dates for your project or holiday its best to contact us sooner than later to guarantee the vehicle of choice is available. All rental reservations require a initial deposit to hold the vehicle for the dates requested. All of our ATVs, Utility Vehicles, Argo’s, and Trailers are rented out per day with discounted rates for weekly and monthly rentals. To view our current rental rates click the link below.